New York: Bloomsbury, 2014. 296 pp. $29.95 (paperback). I am thrilled to announce that today marks the release of the new book, The Organic Globalizer: Hip-Hop, Political Development, and Movement Culture, which includes a chapter I co-wrote on hip-hop and youth cultural organizing. The book is an important contribution to hip-hop scholarship, and speaks directly to the kind of work explored and celebrated on this site. If you sign up for the book’s mailing list you can get 30% off on the book today! 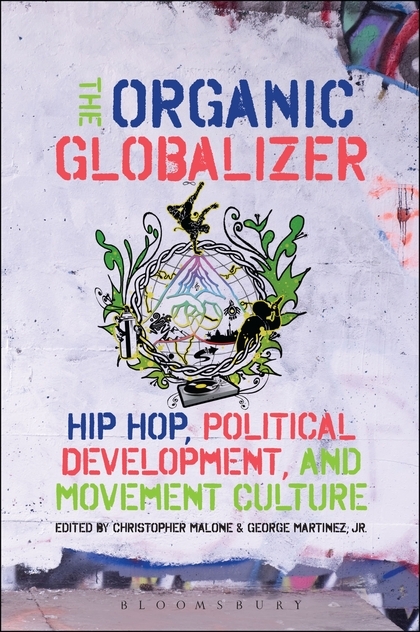 The Organic Globalizer is edited by Christopher Malone, an Associate Professor of American Politics at Pace University, and his colleague George Martinez, a long-time artist, organizer, and hip-hop ambassador. In 2010, Malone and Martinez published a well-received article in the journal New Political Science about the political development of hip-hop culture. They traced its early role as a space for building critical awareness and amplifying the voices of young people of color, through the development of the first hip-hop community institutions, and on through more explicit hip-hop activism and political organizing. These ideas served as the seeds that grew into the book that came out today. This edited volume includes a long list of authors, many in the field of political science but also some from the arts, English, education, and communication. Their work, importantly, breaks away from the common US-centric approach to hip-hop, taking us to Palestine, Cuba, Eastern Europe, and the global economy writ large. There are articles on hip-hop’s intersection with faith, indigenous identity, civic engagement, and the occupy movement, among other topics. The piece I have in the book was co-written with Mariama White-Hammond, the former Executive Director of the youth cultural organizing group, Project HIP-HOP (the site where I conducted my dissertation). 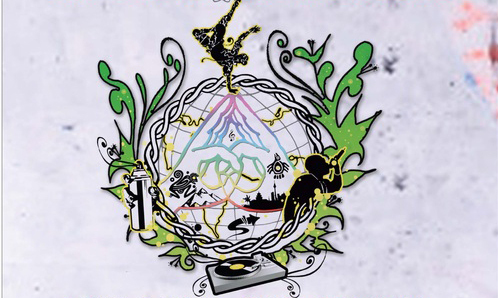 Our chapter, (Re)building the cypher: Fulfilling the promise of hip hop for liberation, argues that before being able to utilize hip-hop culture as a medium for effective youth organizing, we must first address some of the key contradictions and oppressions within the culture itself. We must “rebuild the cypher” by fostering hip-hop communities that balance individualism, competition, and boasting, with the increasingly marginalized values of collectivity, collaboration, and representing. Well, don’t want to spoil it. Go grab a copy (and enjoy the beautiful cover art. I’m proud to be a part of a project with so many great scholars and change agents. For more, check out the book’s website HERE.